WAR STORM Tour at Literati Bookstore, featuring Victoria Aveyard! 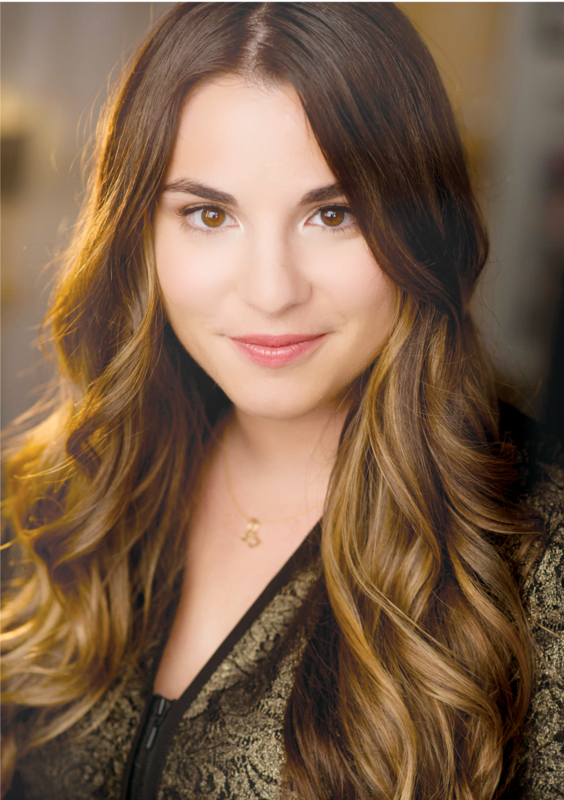 Literati Bookstore is pleased to partner with Epic Reads to celebrate the electrifying conclusion to the Red Queen series with Victoria Aveyard, Brittany Cavallaro, and Susan Dennard! This event will feature a discussion with the authors and will be moderated by Nicole Williams and Audrey Huggett from the Fellow Youths podcast. A ticketed signing line is to follow. Admission to the discussion portion of this event, due to Literati's size, is LIMITED. Only those with the free, limited, Event Admission Pass ticket option will be guaranteed admission to this portion of the event. Guests who are able to secure an Event Admission Pass will also have the chance to be first in the signing line, but *will be required to purchase a copy of War Storm (or The Case for Jamie or Sightwitch) on site to do so. * Booksellers will be present to sell copies in the event space. Doors will open at 6:30. If you're not able to secure the limited Event Admission Pass while they last, fear not! You can still join the signing line following the reading and meet the authors. Once all Event Admission Passes are gone, a ticket option for entry to a post-event signing line will become available. While this ticket does not include admission to the author discussion, Signing Line Ticket holders will receive a hardcover copy of War Storm, to be picked up at the store when you join the signing line, and are guaranteed to have a chance to meet the authors and have their books signed! The Signing Line Ticket will have an assigned "seat number," which will be your spot in the signing line. Literati will have additional titles from all the authors for sale in-store for Signing Line Ticket holders. In order to eliminate long lines and waiting periods, Literati will announce via twitter (@Literatibkstore) when we are ready for select groups, according to their line number, to begin lining up at the store for signing--starting likely around 8:30pm. If you do not purchase the advance Signing Line Ticket, a purchase of War Storm, The Case for Jamie, or Sightwitch in our store during business hours on May 21st will also grant admission into the signing line, *following* all guests who purchased tickets in advance. Mare Barrow learned this all too well when Cals betrayal nearly destroyed her. Now determined to protect her heartand secure freedom for Reds and newbloods like herMare resolves to destroy the kingdom of Norta once and for all... starting with the crown on Mavens head. But no battle is won alone, and before the Reds may rise as one, Mare must side with the boy who broke her heart in order to destroy the boy who almost broke her. Cals powerful Silver allies, alongside Mare and the Scarlet Guard, prove a formidable force. But Maven is driven by an obsession so deep, he will stop at nothing to have Mare as his own again, even if it means destroying everythingand everyonein his path. Nicole builds games, buys books, comics and movies for the Ann Arbor District Library. Nicole likes snacks, anime, and video games that let her pretend to be outdoors. She is a co-host of the YA media podcast, Fellow Youths. Audrey works with the tools collection and the Secret Lab at the Ann Arbor District Library. She's interested in all sorts of things from sewing and drawing to history and farming. Audrey is a co-host of the YA media podcast, Fellow Youths. Catch up on the latest YA lit, games, and media, relive your dramatic teen years, enjoy animated rants about the struggles of adulthood, and spread out into stories that may not be teen lit, but are still fun to daydream about long after you put the book down. It's Fellow Youths, hosted by Audrey, Kathy, and Nicole, three twenty-somethings desperately trying to keep up with the world. Q: Wait, so who is getting their books signed first? A: Event Admission Pass holders, who have reserved admission, will go first provided they also purchase a copy of War Storm, The Case for Jamie, or Sightwitch at Literati, followed by Signing Line Ticket guests, whose ticket amounts to an advanced purchase of War Storm. Q: I have an Event Admission Pass, do I have an assigned seat? A: No, admission passes grant first-come, first-serve access to limited seating for the event. Doors open at 6:30. Q: I have an Event Admission Pass, do I need to purchase a separate Signing Line Ticket? A: No! Because you are attending the discussion portion of the event, you will be able to be the first to line up to have a book signed, with a purchase of War Storm, the Case for Jamie, or Sightwitch. Literati Booksellers will be present in the event space to sell copies of these books after you are admitted to the event. Q: I have an Event Admission Pass, can I buy a copy of the War Storm, before the event, such as on the release date, and bring it with me to enter the signing line after I attend the event? A: Yes, provided you purchase this copy at Literati. Please hang out to your receipt, and bring it (and your ticket, of course) to Literati on the 21st. Books will go on sale on 5/15. Q: I have an Event Admission Pass, when will I get my book signed? A: Admission to the limited seating in the event space for Event Admission Pass holders is first-come, first-serve, and we will release guest by rows to join the signing line before Signing Line Ticket guests, provided they have purchased a copy of War Storm, The Case for Jamie, or Sightwitch at Literati in order to enter the line. Q: I have a Signing Line Ticket, do I get to see/am I admitted to the discussion portion of the event? A: Due to limited space in our store, the signing line ticket only provides access to the signing line following the event. We may be able to admit the earliest Signing Line Ticket numbers to limited standing room only space in our second floor events space, and will contact those ticket holders who may qualify, directly. Q: I have a Signing Line Ticket, when do I pick up my copy of War Storm? A: We ask that you pick up your book when you join the signing line. We will have books reserved for all ticketed guests to the signing line. When you join the line, Literati booksellers will provide you with your book and assist you in preparing your book for the signing. You may also buy additional titles the day of (for additional questions about this policy, please email us at events@literatibookstore.com). Q: I have a Signing Line Ticket, when do I get my book signed? / Why is there a seat number on my ticket? A: We will begin the signing line promptly following the event. Your seat number is your place in line. In order to eliminate long lines and wait times, we will announce, via our twitter (@LiteratiBkStore), when were ready to welcome guests according to their seat numbers to come line up. A tweet may read, for example: "Signing Line Ticket nos. 31-45 may now line up along our mural wall on 4th street!" Q: Can I join the signing line without having to purchase a ticket in advance? A: Yes. If you purchase a copy of War Storm, The Case for Jamie, or Sightwitch in our store the day of the event before the store closes (or can provide a receipt of a previous purchase), you can join the signing line after ticketed guests have their books signed. Q: Can I bring other books to be signed / how many books may I have signed? A: Yes. To reduce wait times for all guests, we ask that you limit the amount of books to be signed to 4 per person. Q: Can I join the signing line without either ticket option, or without purchasing War Storm, The Case for Jamie, or Sightwitch at Literati?